The countdown to the festive season has begun! YIKES! If you haven’t started your festive shopping, then you better get cracking! 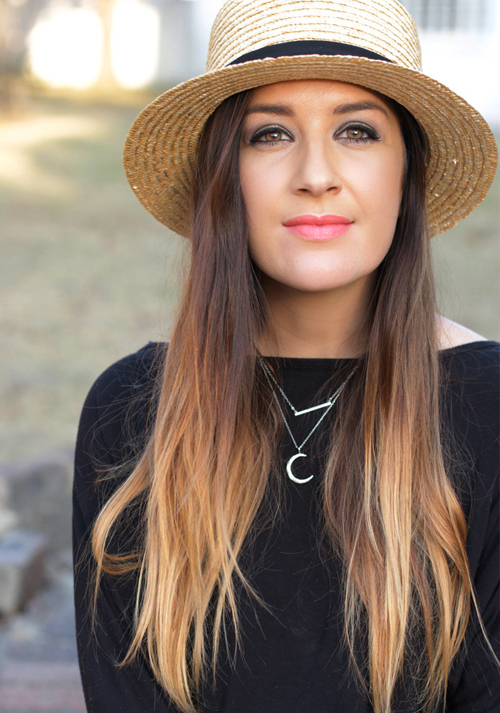 Nobody wants to spend their year end leave trawling around shopping centres hunting down their holiday find. I know that’s the last place I want to be! I’d rather be sipping on cocktails by the pool, catching a tan. After all, isn’t that what Christmas in South Africa is all about? Every year, around August I attend the Woolies Christmas Media launch in Cape Town. This event is probably the highlight of my year! Not only because we get stuffed with the most delicious treats – made by the Woolies chefs themselves – but it’s always a beautiful event, filled with jolly goodness and inspiration for holiday season ahead. It’s also were I get a lot of my Christmas ideas from. The first one I went to in 2011 inspired my festive cheese board, which was an absolute hit with our family and friends! And last year, I was dead set on having the Black Forest Fruit Pudding and Belgian Triple Chocolate Layered Desert on my Christmas table – but since I was chilling on the beach instead of Christmas shopping, I couldn’t find either, so I apologise if you too couldn’t find the treats I mentioned on my post last year! I’m making up for it this year, by ensuring that my annual Christmas with Woolies 2016 post is up well in advance :). A little tip though, if you see something you want/need/must have, then make sure you get it early! 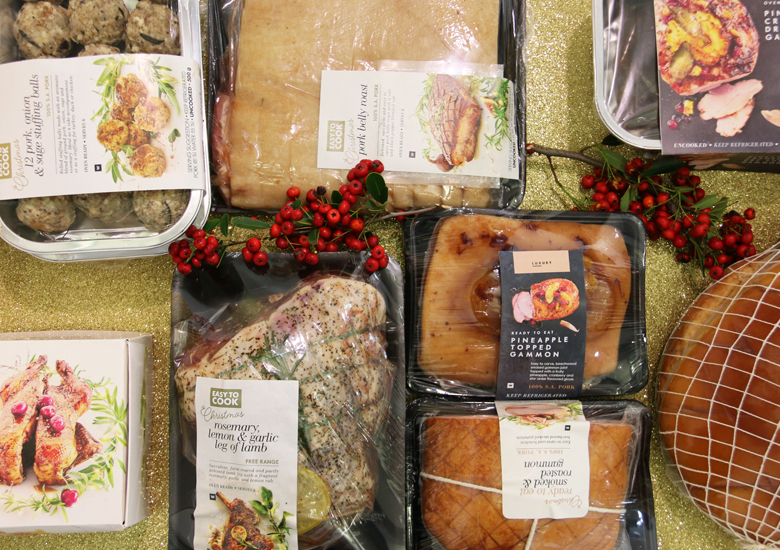 With that out of the way, let’s get into Christmas with Woolies 2016… Because let’s face it, Christmas just wouldn’t be the same without Woolworths! 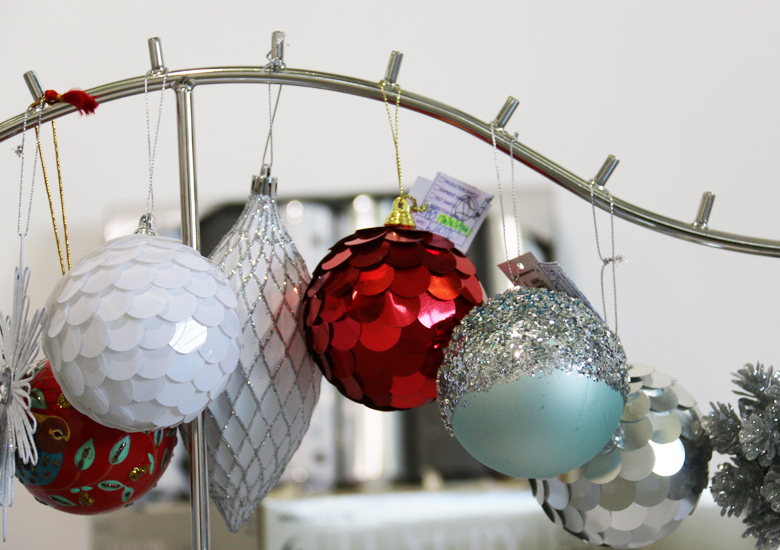 For the festive season of 2016 Woolworths is all about helping you inject that extra bit of sparkle! From the glam gifts themselves, to the glorious food, all the way to creating the perfect, sparkly setting for your festive feast! Bling goes well with a bang and at Woolies you’ll find everything you need to light up the night! Although this is the first year in forever that we are not hosting Christmas at our house, I’m not letting that stop me from turning my home into a snowy, sparkly wonderland over the holidays! 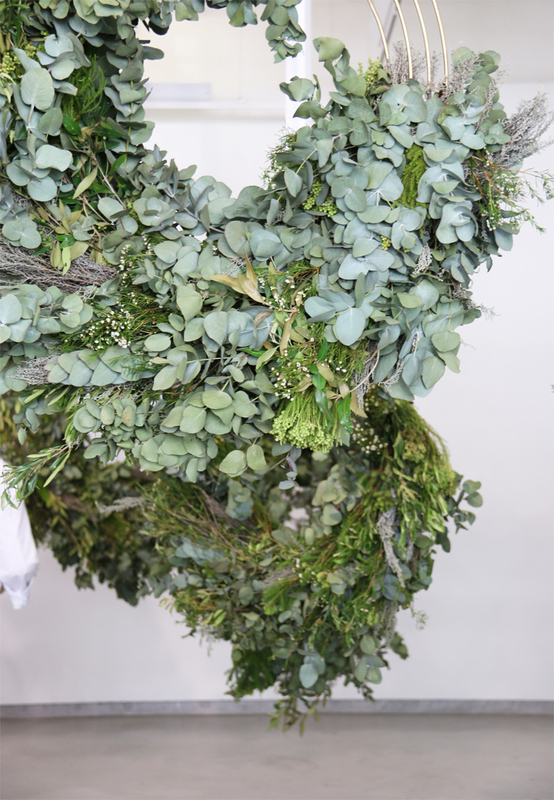 I love the traditional red, white and silver baubles which have been taken up a notch with shiny sequins and that pastel blue and sliver bauble is such a gorgeous combo. I’m not one for kitch decor around my home – but I do make an exception on Christmas! 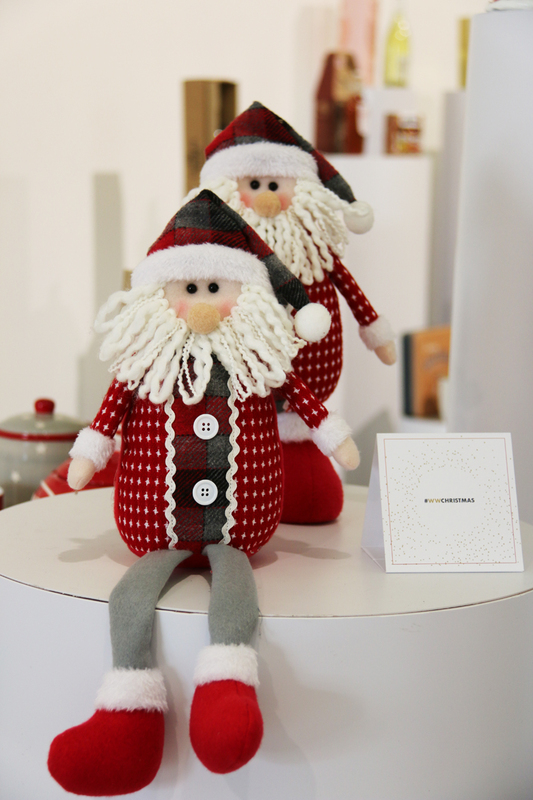 You just can’t be festive without a cute as a button Santa ornament sitting somewhere amongst your decorations. Then for gifting this year, it’s all about the personal touch! As much as I believe that Christmas is the season to give, I don’t think your gifts need to be extravagant, expensive or boring! Spending a little less doesn’t mean your gift will go unappreciated! That’s why I love these festive biscuits and treats that are so beautifully packaged, you don’t even need to wrap them! 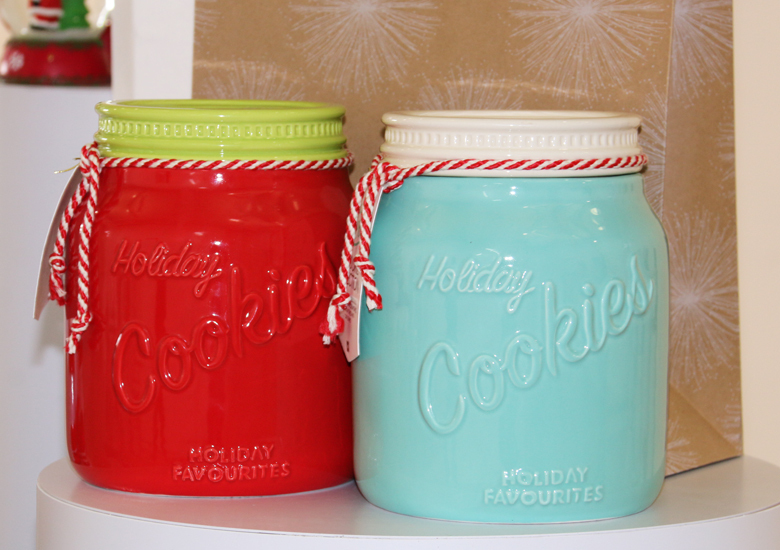 I mean, I’d totally take one of these holiday favourite cookie jars over another foam bath or body cream! 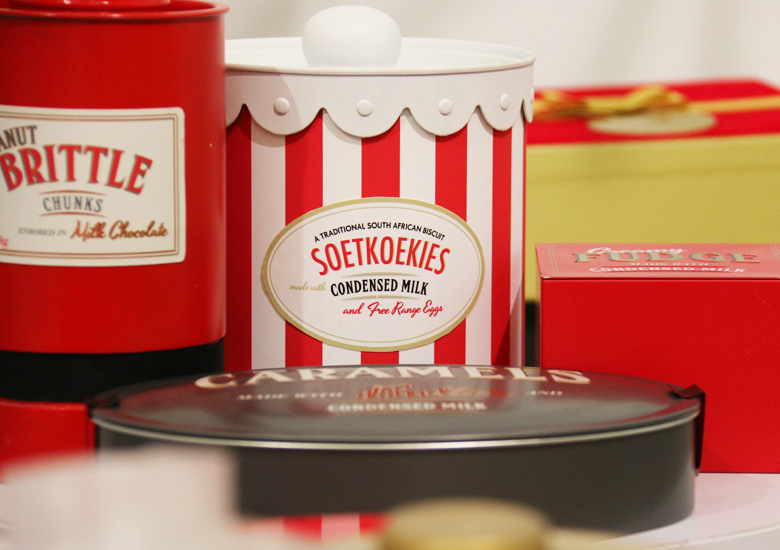 Inside, a selection of yummy cookies and outside, a beautiful ceramic jar that will come in handy no matter the season! For the guys, I’m sure this would go down much better than a pair of socks? 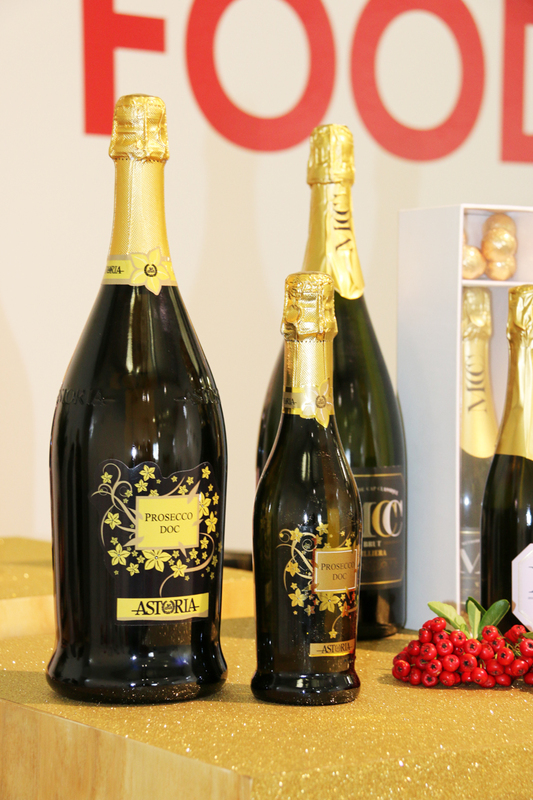 Or better yet, how about a bottle of Woolworths’ own Italian, Sparkling Wine – Astoria Prosecco? This is one of my absolute favourite sparkling wines to indulge in! It’s so bubbly, so fragrant and sooooo yummy! 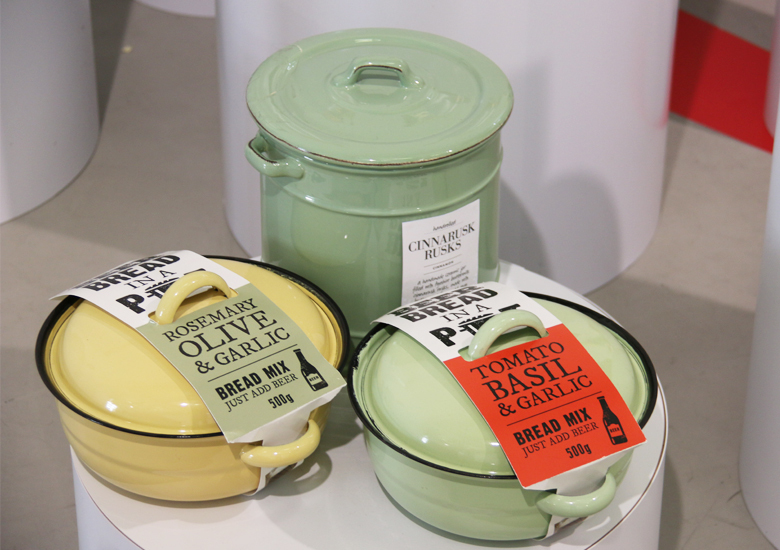 Cinnarusk Rusks in a handmade, ceramic jar or Beer Bread Making Kits in a locally made, enamel pots are the sweetest things! Looking for gift set for the seriously too hot to handle? 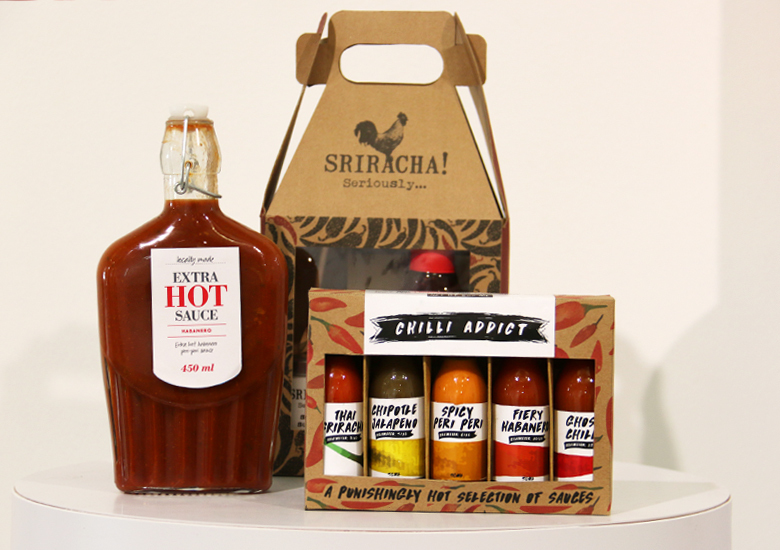 How about these Sriracha Seriously, Extra Hot Sauce or Chilli Addict gift sets. 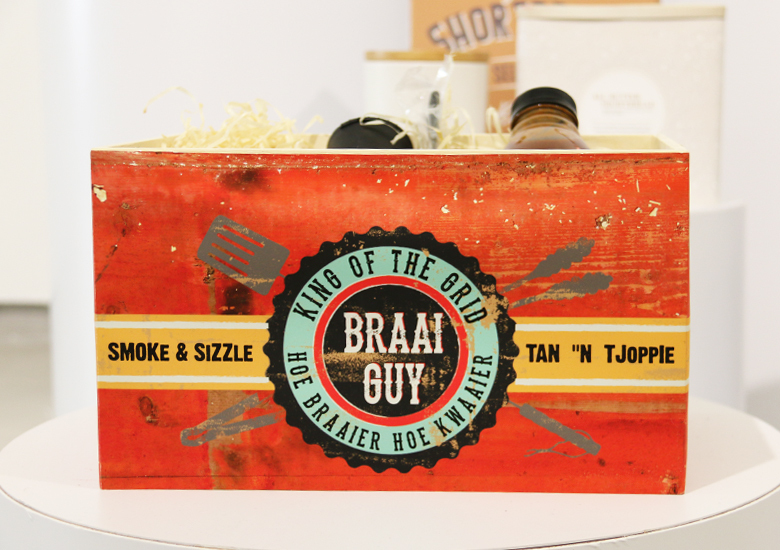 Or a perfect gift for the man (or woman) who loves to braai. More great gifts that wont break the bank! From Top Left: Crystalised Ginger in a beautiful jar, Handcrafted Salted Caramels in Glass Jar, Granite Whiskey Stones, LED Braai Light with Clamp, Longmarket Soap Company Tins, Peanut Brittle Chunks in Milk Chocolate, 3 Piece Picnic Wine bottle and Glasses set. Well brace yourselves for the food! Food, glorious food! Starting with the yummy cakes of course! 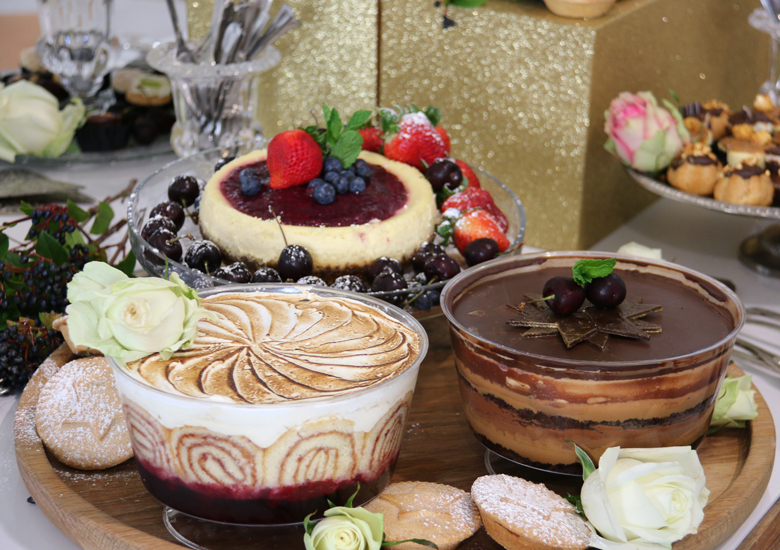 From the back: Berry Cheesecake, Raspberry Pavlova Trifle (front left), Belgian Chocolate and Caramel Trifle (front right). Delicious meats: Back: Pork, Onion and Sage Stuffing Balls (these were insanely delicious), Christmas Pork Belly Roast, Pineapple & Cranberry Dry Cured Gammon. Front: Salt & Pepper Duck with Hoisin Drizzle, Rosemary, Lemon & Garlic Leg of Lamb, Pineapple Topped Gammon, Smoked & Roasted Gammon. 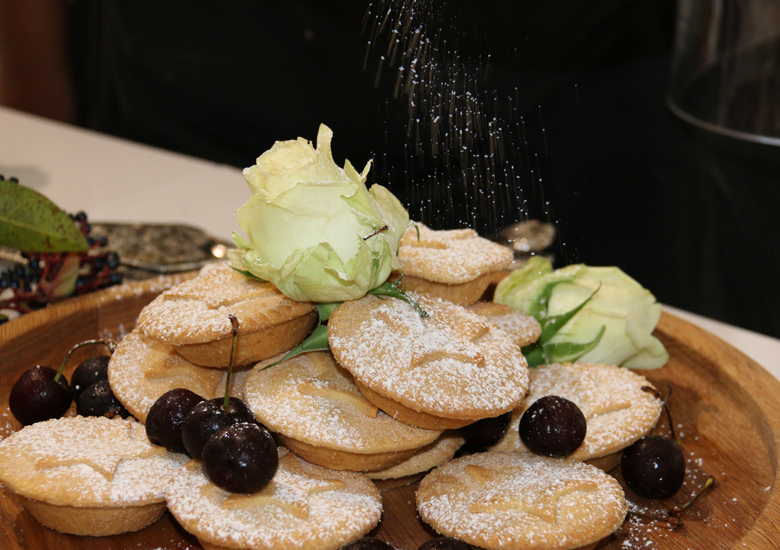 Oh, and not forgetting the mouthwatering mince pies! 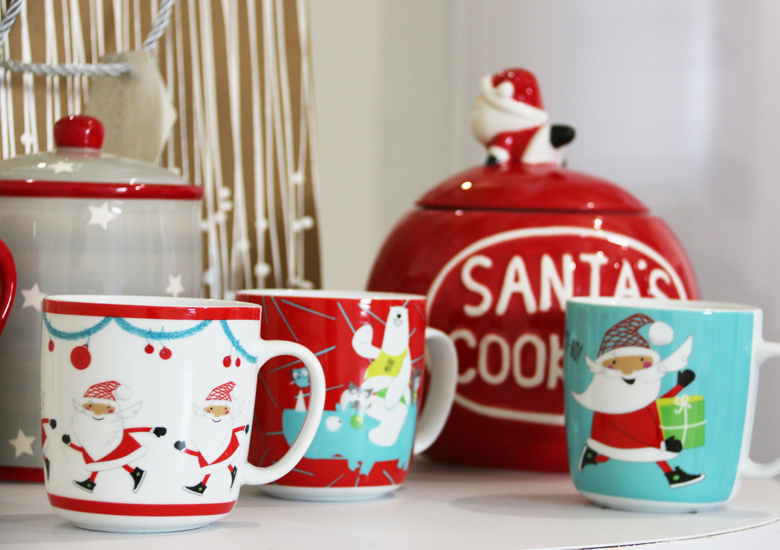 And then a little something to bring on the festive fun, how cute are these Festive mugs? Is it too early to say HAPPY HOLIDAYS?